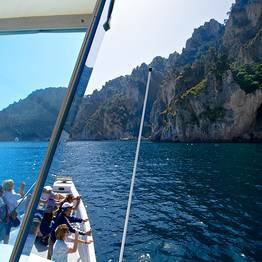 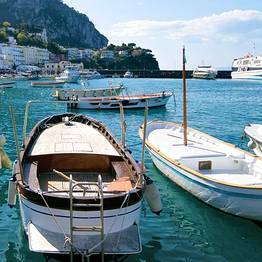 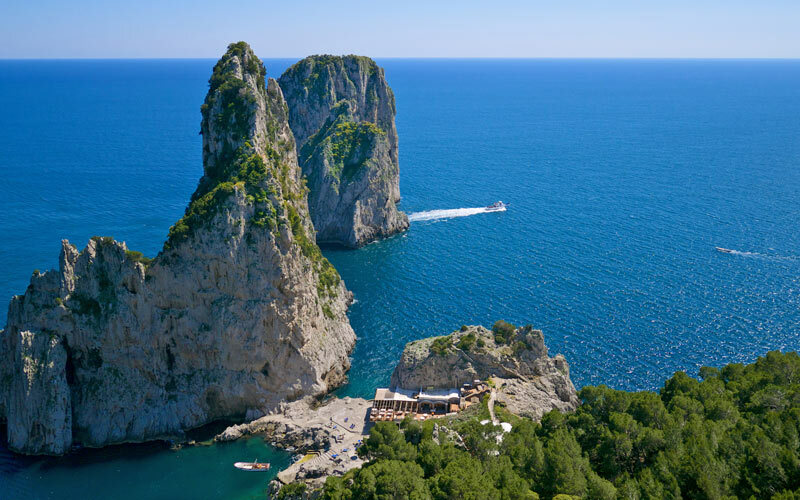 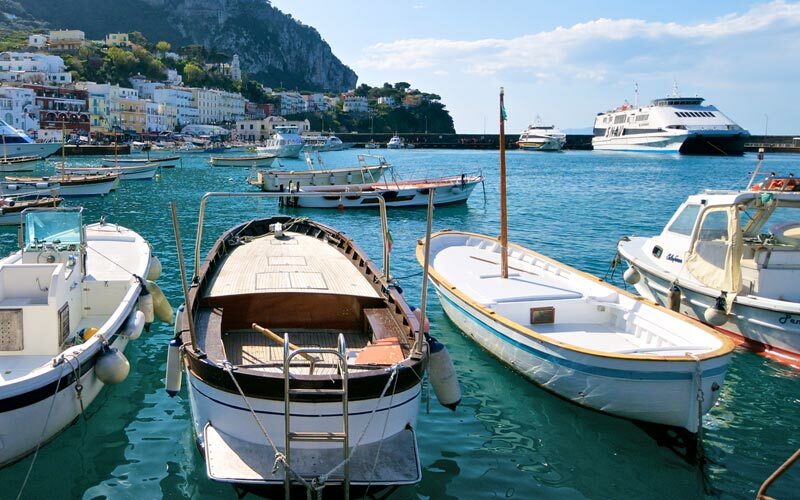 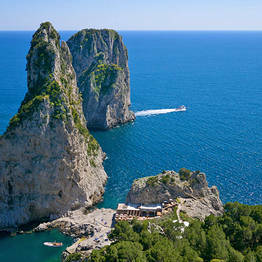 Capri by sea has a singular charm: the crystalline waves breaking over the craggy coast and rocky cliffs, the Faraglioni rock formations standing guard at Marina Piccola, the sparkling and fanciful Blue Grotto. 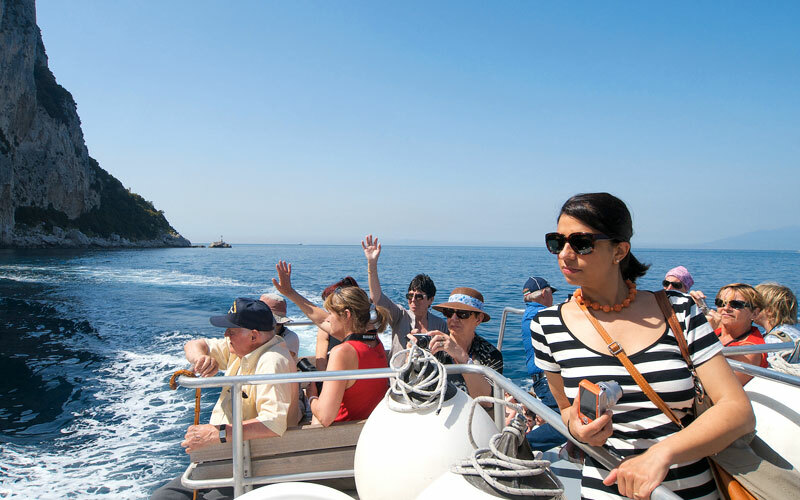 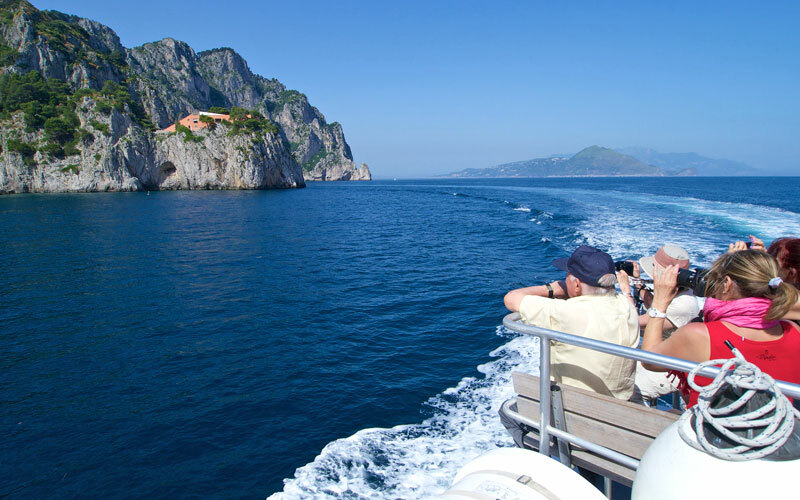 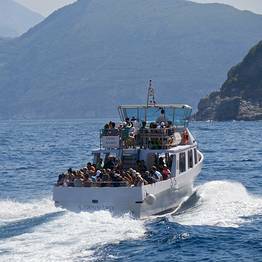 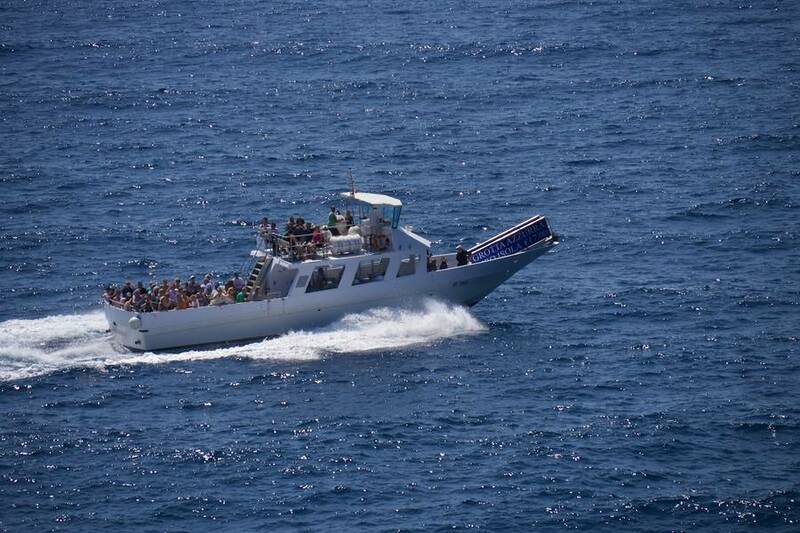 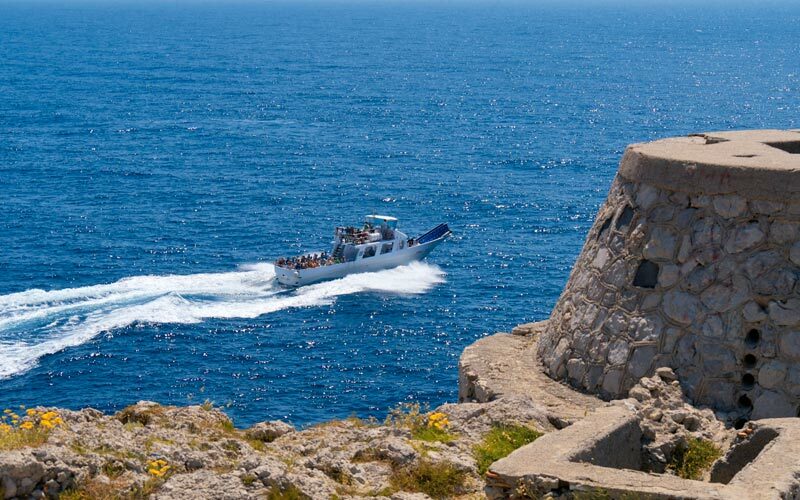 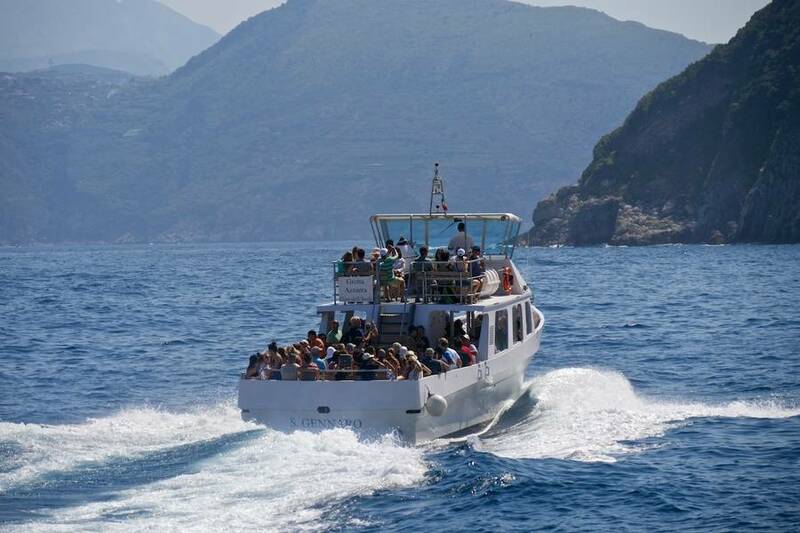 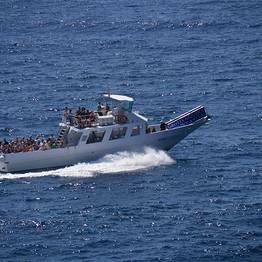 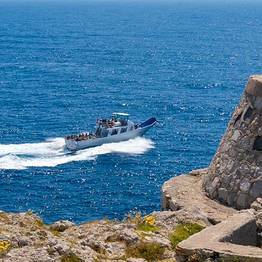 The best way to experience these natural marvels is to take a trip around the island by sea with Laser Capri, skipping the long lines by taking advantage of their non-stop departures every 30 minutes from Pier 23. 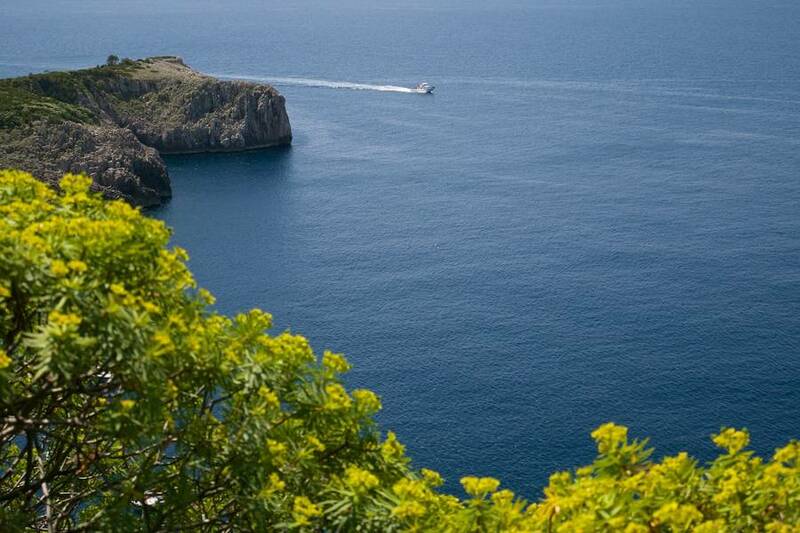 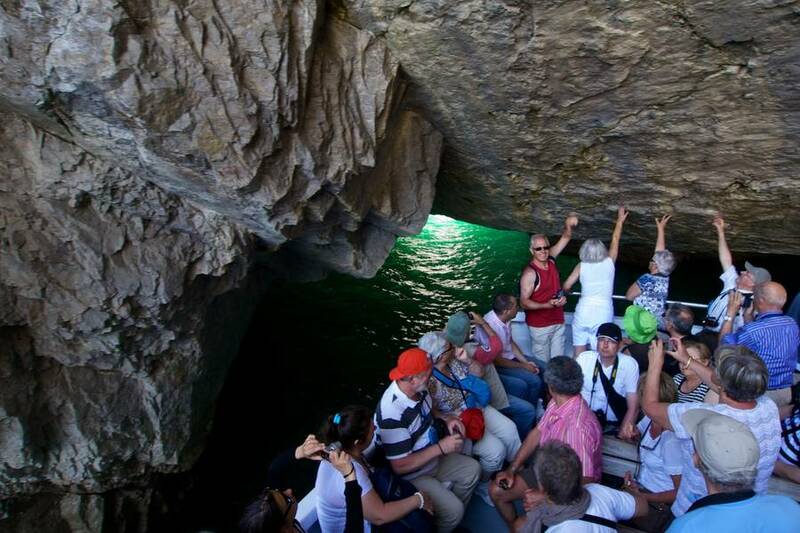 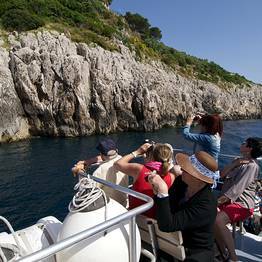 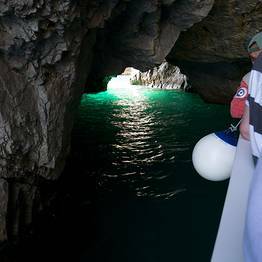 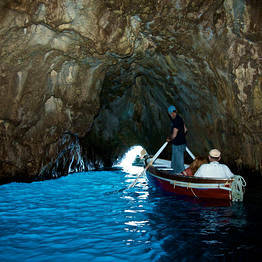 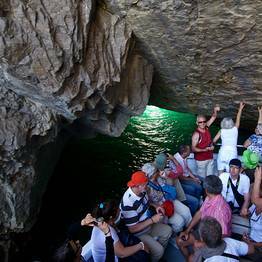 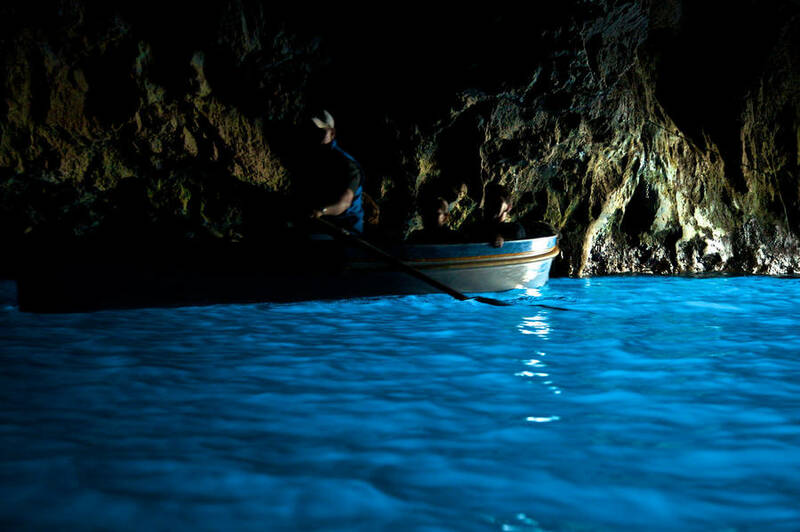 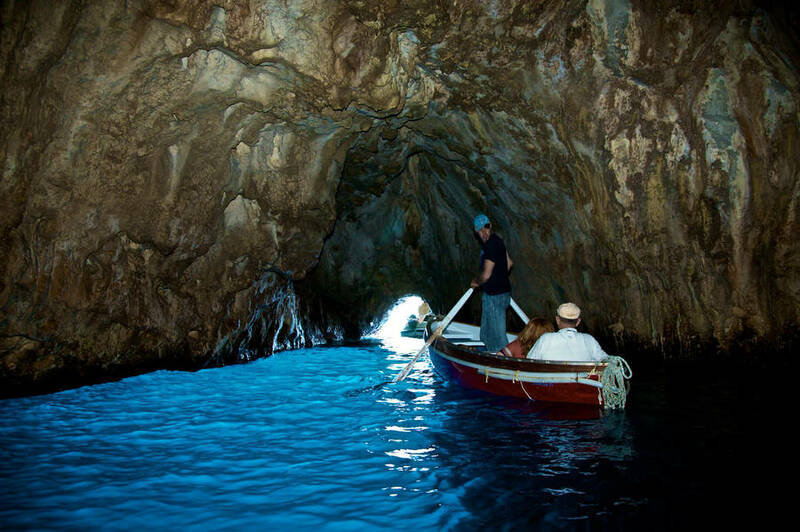 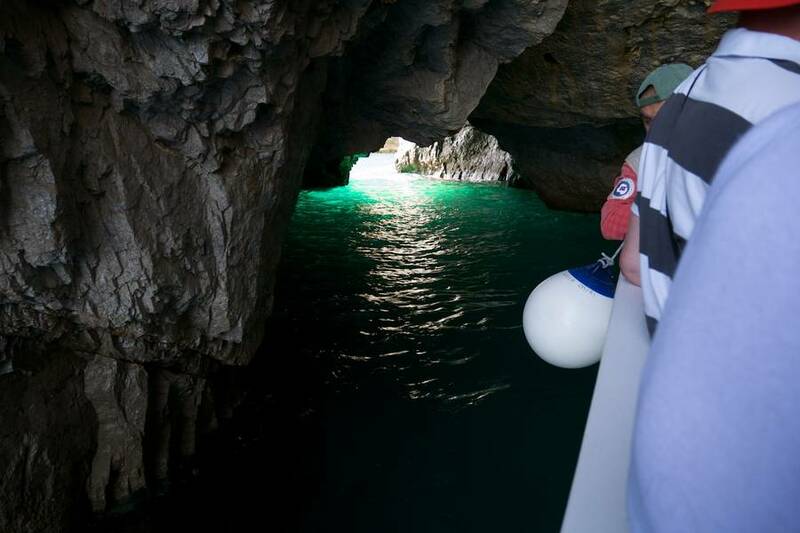 To visit this sea cave, you must board the small wooden rowboats and pay the additional Euro 14,00 entrance fee. 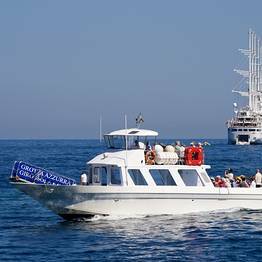 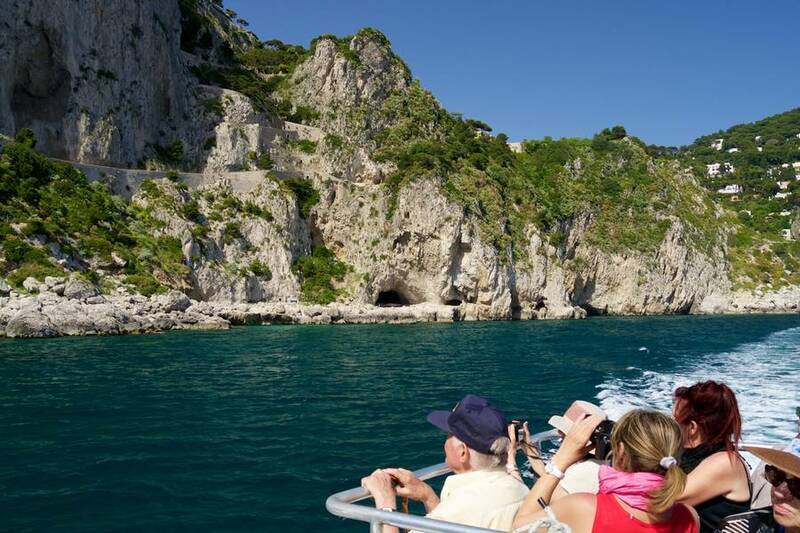 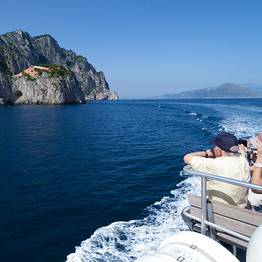 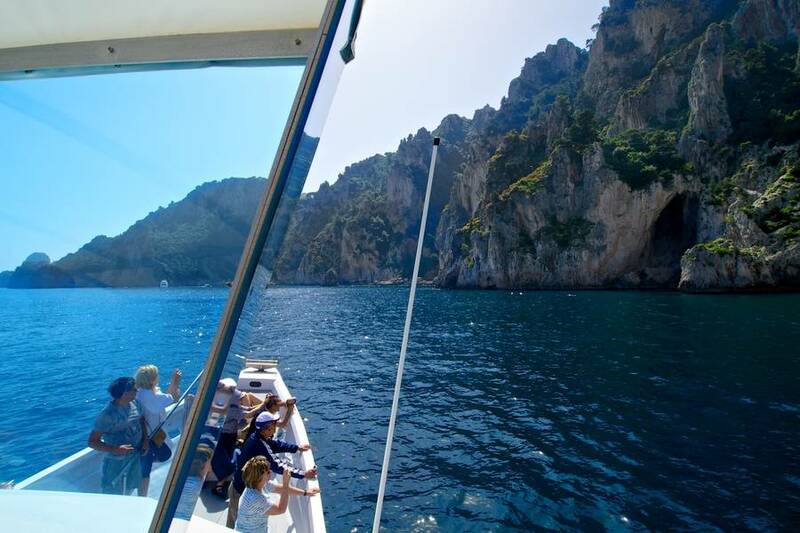 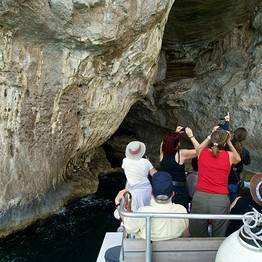 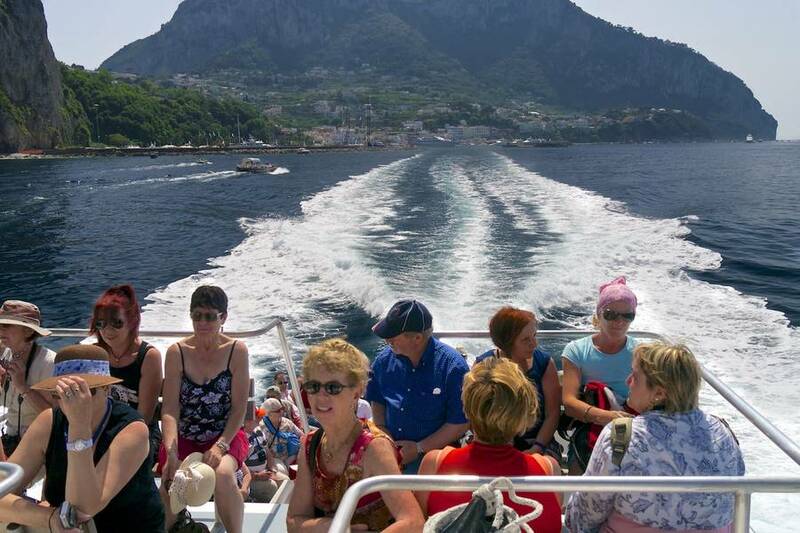 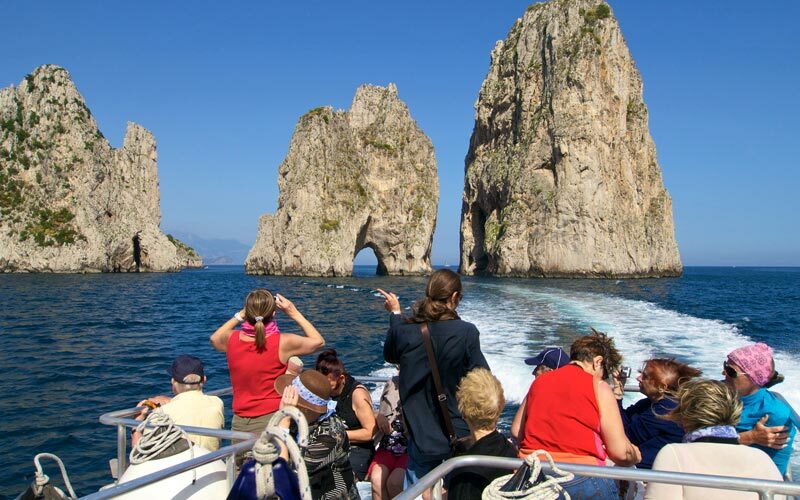 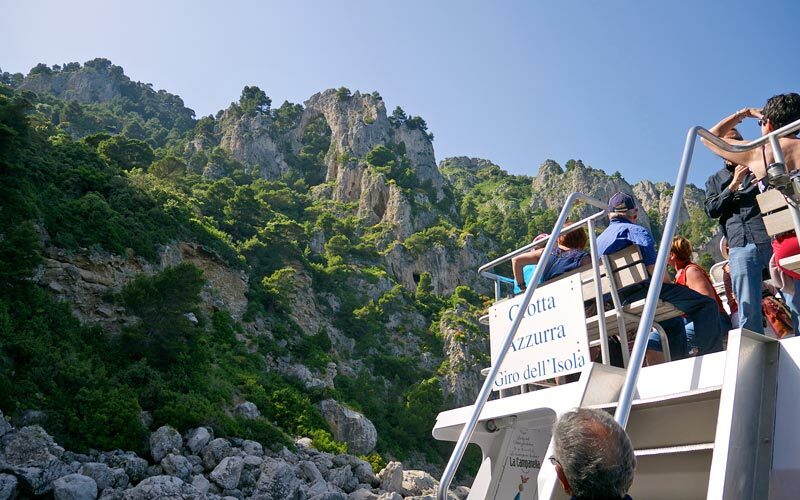 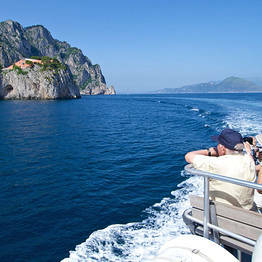 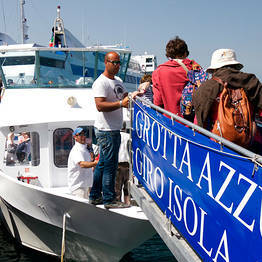 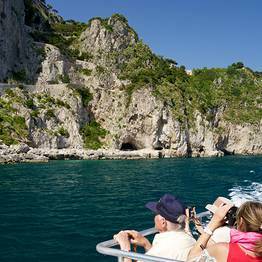 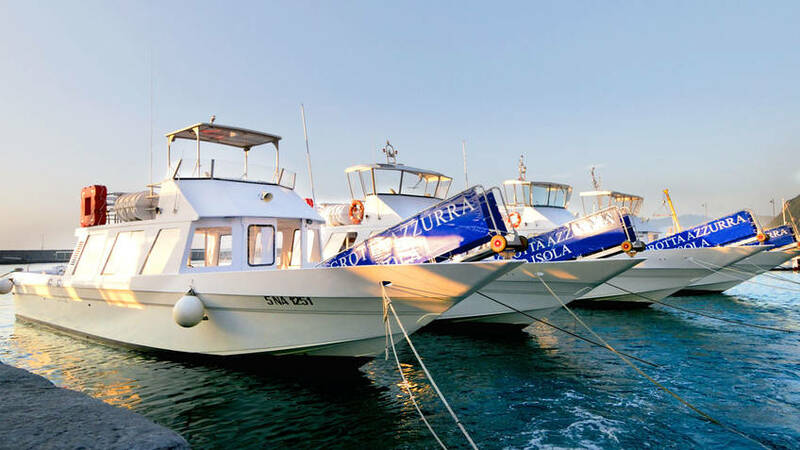 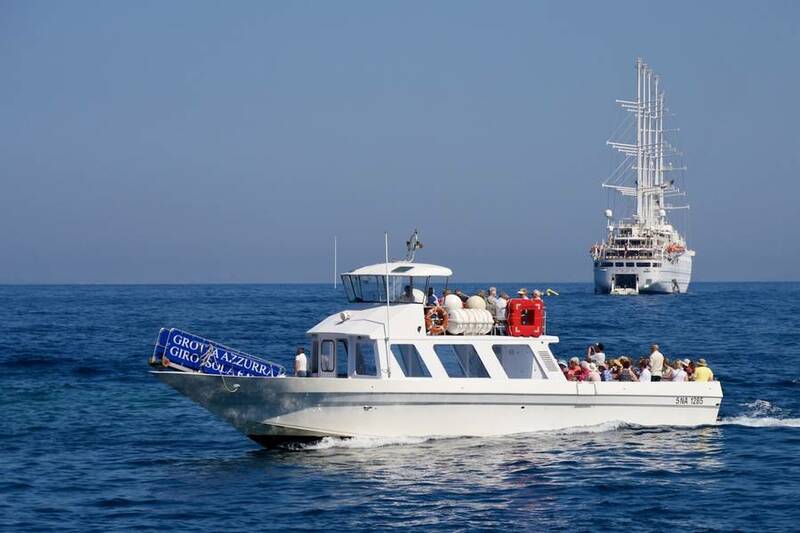 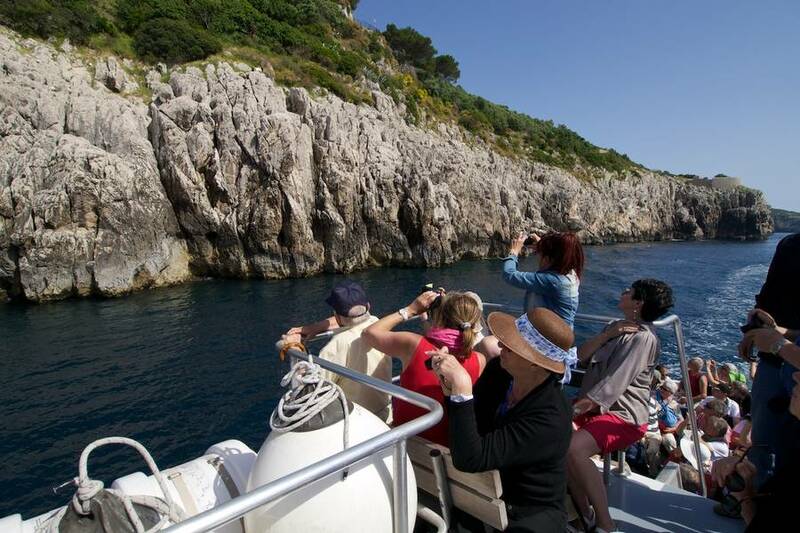 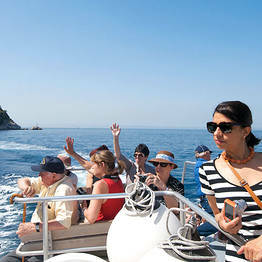 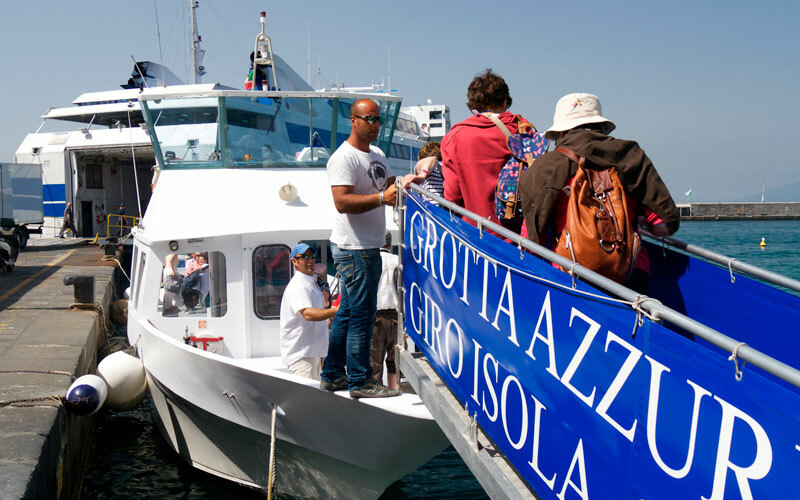 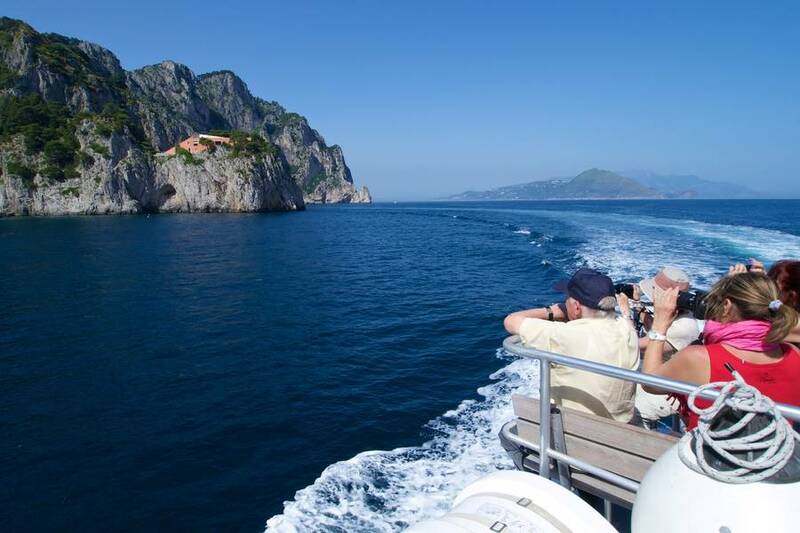 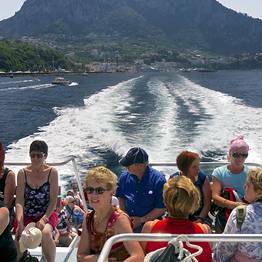 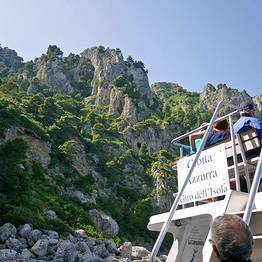 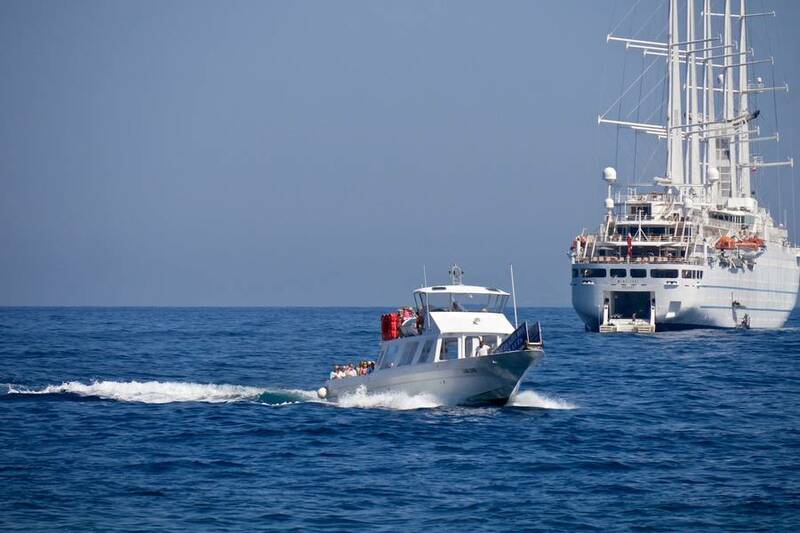 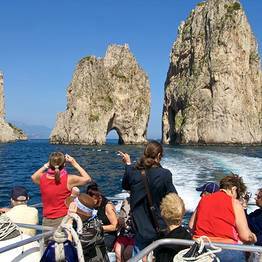 Boats depart from Marina Grande, passing Tiberius' Leap, the Arco Naturale stone arch, and the Faraglioni rock formations before arriving at the Blue Grotto. 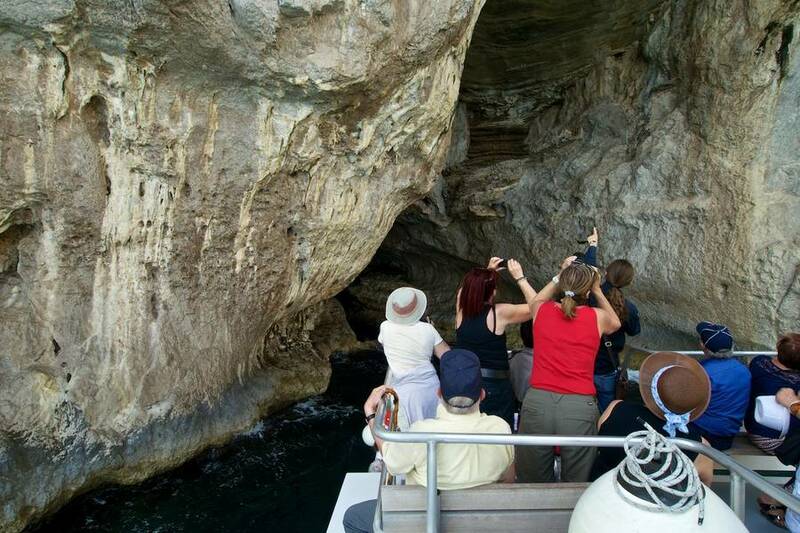 This visit is optional, and the lines are sometimes quite long.